When I was five years old, my father had a series of bipolar episodes that threw our idyllic suburban home into chaos. Seeking to cope with the upheaval, my five-year-old self created a story. The story went like this: if I could just be something different, something better, I could change all that had happened to my father and prevent bad things from happening again. Of course, no matter what I did, it was never enough. It was never enough then, and it was never enough for a lifetime. I spent my life constantly needing to do more, to be more. Luckily, society incentivizes one for such behavior so many times it was rewarding and exhilarating but as I got older it became exhausting and anxiety provoking. 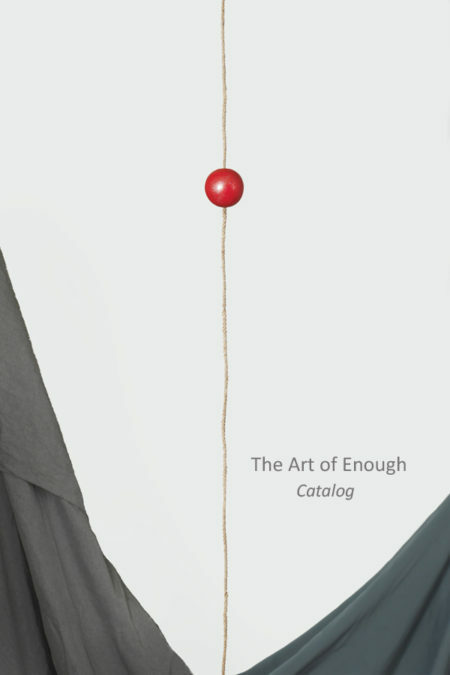 The Art of Enough is a personal, transformative art making project. The process is much like my previous works where I used a multi-disciplinary, psychology driven creative process to become aware of, and then transcend, limiting patterns of emotions and behavior. Creative process is core of my work; it’s a place where I seek freedom and spontaneity through acting, movement, voice exercises, therapeutic photography, video techniques, writing explorations and mindfulness practices. The Art of Enough resulted in a series of podcasts, photographic artworks and personal psychological and emotional change. I have been able to slow down, stop a compulsive need to always “climb the highest mountains”, and most importantly been able to find moments when I consciously decide to say “no” in situations where I previously was subconsciously driven to say “yes”. In many ways, it was about becoming more present and making more conscious choices, instead of always reacting to situations around me based on some inner voice that commanded me to “do more” or to “be better”. I have done enough and now, in many cases, if I choose to do more it is because I believe it will result in more pleasure, more freedom and more connection with those around me. In this episode we explore the psychological origins of not feeling enough, how it can cause us to become overachievers and how creative process can help us curb this problematic emotion. This episode explains how meditation, psychotherapy and artmaking can help you become aware of how past experiences are affecting your current emotions and behaviors . This episode details the science of anxiety and how breath-work can reduce anxiety and increase creativity. Arden, John Boghosian. Brain Based Therapy for Anxiety: a Workbook for Clinicians and Clients. PESI Publishing & Media, 2014. Arden, John Boghosian. Rewire Your Brain: Think Your Way to a Better Life. Wiley, 2010. Batchelor, Stephen. Buddhism Without Beliefs . Riverhead Books, 1989. Broad, W. The Science of Yoga. New York: Simon & Schuster. 2012. Csikszentmihalyi, M. Flow. HarperCollins. 2009. Prescott, Carol Fox. Breathing, Awareness and Joy. Van Itallie, Jean Claude. Tea with Demons. Haley’s , 2016.